As an introduction to the theory and practice of hatha yoga, Bikram will give an introductory series of talks on yoga philosophy as outlined below. Bikram’s hatha yoga system explained. 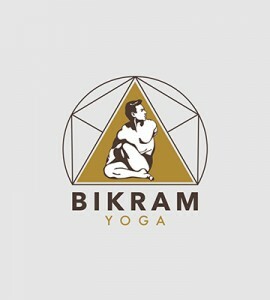 Through demonstration and individual practice, Bikram will personally guide you through the theory and practice of the Bikram’s Basic Yoga System which includes twenty-six postures and two pranayamas. Guest medical doctor specialists from the U.S. and India will familiarize you with the various aspects of the human body system. Here Bikram will tie together the East and the West as he discusses the methods and processes for total human physical and mental well-being. Importance of correct form to achieve therapeutic results and produce anatomical benefits. Here Bikram will discuss and demonstrate the correct form of each posture as it should be used. Importance of partial correct form when client has physical limitations. Through demonstration and discussion, Bikram will emphasize the proper manner for entering into a posture, and the benefits of performing only the first part of posture 100% correct when that’s the student’s limit and the error of attempting any part of the posture until the first part is done correctly. Here he emphasizes his concept of trying the right way. Achieving maximum benefit for the functioning of all internal organs, important glands, veins, nerves, ligaments, tendons, and minute tissues . Bikram will lecture on the scientific processes of the hatha yoga system to give you a clear understanding of how hatha yoga achieves complete balance of the body. Conducting the Basic System of Twenty-eight poses in a group arrangement. Bikram will demonstrate and discuss the proper procedures for conducting the Basic System. Through practice, you will have an opportunity to apply these principles. Modification of postures for individuals due to known problems. In actual yoga class situations, Bikram will show you how to modify poses for individuals with physical problems. He will also discuss the major diseases and the postures which should be excluded or modified from an individual’s repertoire. Identification of unknown individual problems through observation. Here Bikram will show you how to identify individual physical problems which are not identified to you by the individual. Through practice, you will develop an eye to spot certain problems people have but don’t think about such as tilted hip, weak limb, etc. Bikram will demonstrate and through practice, you will gain an understanding of how to apply verbal and hand-on methods to help individuals correct their postures. Bikram will discuss and demonstrate the special considerations required for conducting a class with a seriously infirmed person. He will introduce you to the Bikram’s Yoga College of India Consulting Service which will be available to you to guide you through special problems with severely infirmed students. As outlined below, you will learn what it takes to open and operate a Bikram’s Yoga College of India. Secrets of how to run a yoga studio. How Bikram’s Yoga College of India will help you get started.